Make your kid ready for racing fun with his friends as you get him this classy set. 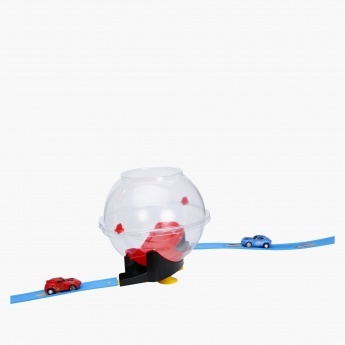 In this set, kids have to pull back their cars and leave them to hit the 360-degree rotating spinner in the centre and wait for the race to finish. This set will help you develop the cognitive skills of your little ones.